Light, gesture, and color, it all came together this evening in the Ice Harbor near downtown Dubuque, Iowa. 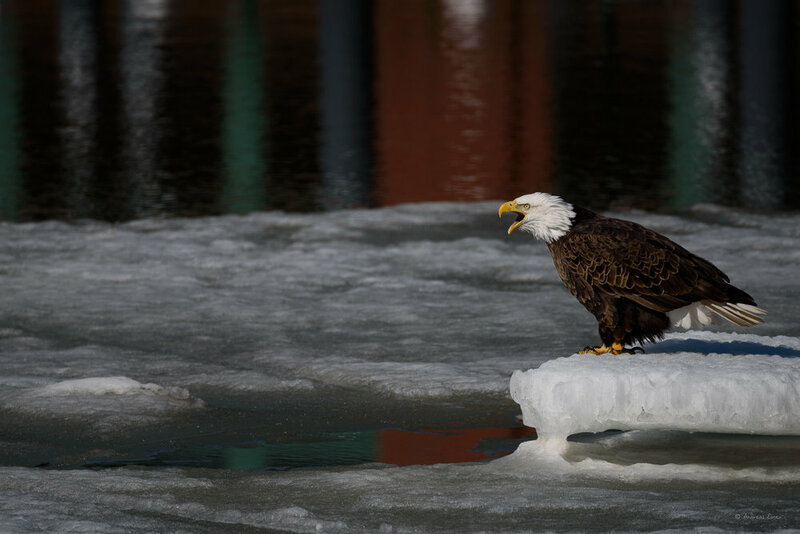 My special thanks goes to photography friend Kevin McTague, who send me a message this afternoon about the presence of Bald Eagles in the Ice Harbor behind the National Mississippi River Museum & Aquarium. I have shot there before when the ice broke during other years and knew ahead of time that this can lead to some good photography. Beside that it was the first real day of spring, with sunshine, a clear sky, and mild temperatures. The interesting part of this urban location is the fact that the brick stone building, which was as far as I know an old warehouse and is now part of the museum, reflects in the water of the marina and makes for some interesting color opportunities. 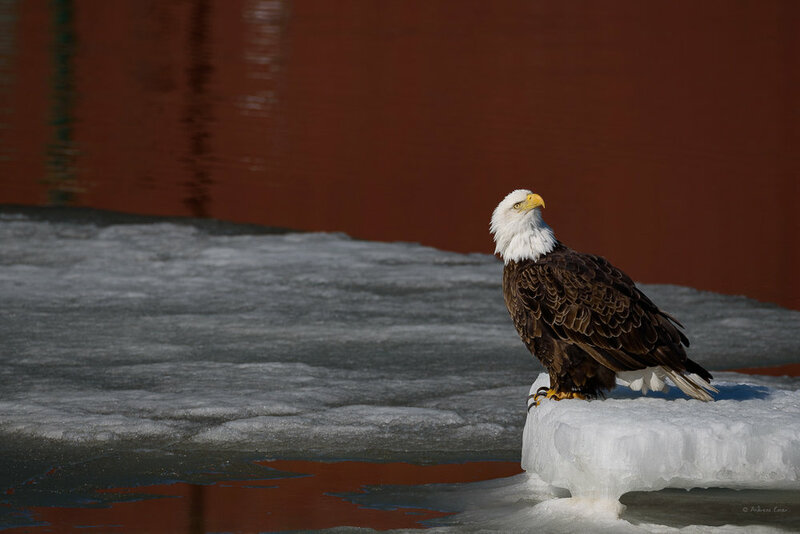 Most of the time the Bald Eagles just sat on the ice, looked around, and paid little attention to the Ring-billed Gulls, who were also hanging around. I was waiting for the gestures that were made when another eagle flew above or when the eagles communicated by calls and body language. By the way, it isn’t as static as it may look. The ice floes move around by wind and water current in the harbor and the light and reflections were different from one minute to the next. What a great way to start a weekend…! !